M A R L I N B R E E - ADVENTURE DEAD AHEAD! Boating tips. Boating maintenance, boating fun. Great boating books. For your boat: A comprehensive Spring Boating Commissioning Guide! You can copy this, complete with 2-year checklist, for your own use. Free! For your kids, build paper boats with them and race the little boats on a nice calm day. See Boating Tips. A little something for everyone here. Boating tips. Boating maintenance, boating fun. Great boating books. For your boat: A comprehensive Spring Boating Commissioning Guide! You can copy this, complete with 2-year checklist, for your own use. Free! For your kids, build paper boats with them and race the little boats on a nice calm day. See Boating Tips. A little something for everyone here. The author's home-built 20-foot sloop that sailed -- and survived -- Lake Superior. Glowing in the sunset under its 10-coats of marine varnish, Persistence tugs playfully at her anchor. For more pix and details click on Das Boot (the boat). Persistence is the centerboard sloop that is featured in Marlin Bree's books, In the Teeth of the Northeaster, Call of the North Wind, Wake of the Green Storm, and Broken Seas. Note: Double click on the pix to see it full frame. Ahoy! Marlin Bree on board the wood/epoxy sloop he built and extensively sailed on Lake Superior. Read excerpts from his exciting nautical books inside. At the top, you'll find photos, boating tips, building ideas, and construction details. Check out, especially, Das Boot. On the right, you'll find individual Marlin Bree books. Select a book you like and read book excerpts. Also you'll find what magazine and newspaper reviewers said about his nautical adventures. for openers, try out the excerpt from Wake of the Green Storm. Take a look at our Spring Commissioning Guide. This is not your ordinary, summarized list of what you should do before you launch, but a detailed, comprehensive schedule of activity. (It's better to find something's wrong before you're away from home port and a storm is coming on.) Alongside each activity, you get a checklist good for two years of getting your boat ready to splash. You can copy these full page interactive guides and print them out, ready for your use, on 8 x 10-inch printer paper. Just click on Boat Log & Record on the right. To purchase this 186-page 8 1/2 x 11-inch size handy reference boat book and get the latest prices, slide your eyes over to the right column and click on the title in the bottom links. 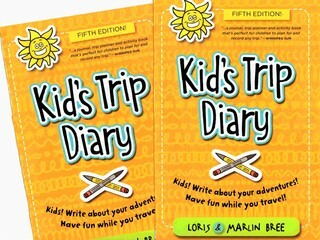 Note: on Amazon.com you can also read lengthy sections of each Marlin Bree book. Click on Amazon's Look Inside the Book feature. Suggestion for reading: Check out Marlin Bree's book, Broken Seas: True Tales of Extraordinary Seafaring Adventures. Big water. High waves. Adventure dead ahead. Whoa!